Our mission is to distribute information related to earth science in and around Jackson Hole and Teton County, Wyoming and to provide educational opportunities for children and young adults in schools and youth groups. During years 2011- 2016 we have enriched the lives of 1600 students with field trips and classroom presentations. Additional classroom presentations and field trips are available. The scheduling depends on the availability of the presenters. Please schedule 4 weeks in advance. Minerals and Rocks – Mineral identification, types of rocks, rock cycle, locations of different types of rocks in Jackson Hole. Geologic Structures – Folding, faulting and geologic structure of Jackson Hole. Local geology using maps and diagrams. Geologic Time – Student activity using a very long geological time chart to demonstrate the age of the earth. 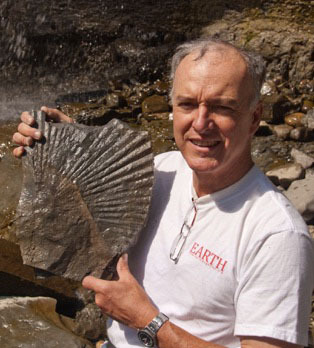 Fossils – Formation of fossils, examples and places in Jackson Hole where fossils are found. Yellowstone Hot Spot – Explanation of the Yellowstone Hot Spot, associated geologic features and their significance. Glaciation – Ice ages of Jackson Hole and glacial features of Jackson Hole. Wyoming Energy Storehouse – Coal, oil, natural gas, wind, solar and urnanium. Astronomy – Various astronomy hands on activities. Astro images. 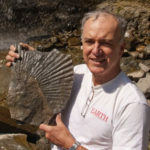 Geology as a Profession – Geologists with different backgrounds talk about their experiences. Glacier View Turnout – Formation of Jackson Hole, Teton Mountains, and glacial features. Gros Ventre Slide and Slide Lake – Events that caused the Gros Ventre Slide. Blacktail Butte – Madison limestone and structural deformation. Budge Drive Landslide – Events that caused the slide. Geologists of Jackson Hole’s outreach to the local school system is represented on the map on the left. We have visited most of the local elementary schools (red circles) to do hands on presentations of the rock cycle. We place local rocks and minerals into the children’s hands so they can see and feel for themselves what the earth is made of. 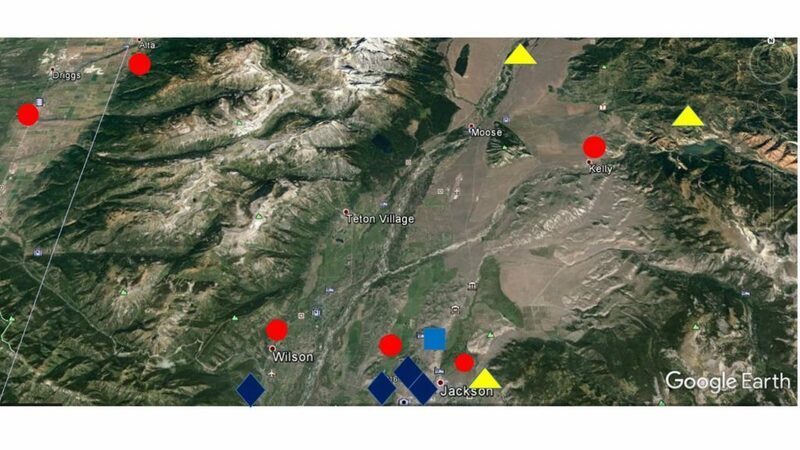 We have taken kids on field trips (yellow triangles) to the Gros Ventre slide and Glacier View turnout to see the drama of the changes taking place on the earth. On a lighter note we took one group to Mike Yokel park where the kids did some geologic detective work. For older kids at the Middle school (light blue square) we presented a slide show on Yellowstone. At the Community School we made a technical presentations on climate change and energy in Wyoming. We have done career discussions at the High School . We have gone into Red Top Meadows and Summit to expose kids to science and the world around them. High schools are blue diamonds. The Geologists of Jackson Hole have an active outreach program for the schools, grades K-12 and youth groups. In the years, 2011-2016, the educational program has given presentations and field trips to 1600 students. We are encouraging members to volunteer for this program. To become acquainted with what we do you can observe a classroom presentation, go on a field trip and help out as needed. If you enjoy the experience you can be an assistant as many times as you would like. Some of you may want to volunteer to lead a classroom presentation or a field trip. It is a very gratifying experience and you will be part of the Geologists of Jackson Hole mission experience.